I’m hoping you can look past this and consider my call to work together to collect the necessary data to strengthen the case. Our food, livelihoods and landscapes depend on it. Someone else must be tracking the data, right? For a number of years, my colleagues and I have been analyzing the big-picture costs and benefits of improving water quality in the Mississippi River Basin through practices like nutrient use efficiency, cover crops and filters (e.g., wetlands and buffers). Benefits include making farmland more resilient to the effects of droughts and floods, and reducing nitrogen fertilizer loss in order to improve water quality and reduce the severity of dead zones in the Gulf of Mexico. We simply assumed that someone else was documenting the economic value that accrued to farmers or landowners who implemented these important conservation practices. I realize now what a lost opportunity this has been – not just for farmers but also for fellow environmental groups, which too often focus on the environmental benefits of certain practices without considering the economic burden to farmers. As a result, we ended up with ad hoc, limited and siloed data. My colleagues and I are now banging on doors to find more information on the economic outcomes of agricultural conservation practices. We found some great information from land grant universities and initiatives like Iowa’s On-Farm Network, NCGA’s Soil Health Partnership, and the Illinois Corn Growers Association, which is leading a fantastic project called Precision Conservation Management that incorporates stewardship into a financial management platform. But these data are only a drop in the bucket of what we really need. 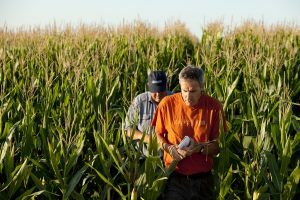 Very few institutions or organizations have consistently collected the data needed to make the sustainability business case to farmers, and even fewer have collected this information long enough to be meaningful. Most of the time, economic data are collected for a single practice, viewed in isolation and evaluated over too short a timeframe. I genuinely believe that conservation practices are good for farmers and landowners’ bottom lines. But faith isn’t a strong selling point, so I’m ready to dig in, roll up my sleeves and work with partners to piece together and develop the data we need to bring sustainable agriculture to scale. This is no small task, and we can’t do it alone – so I’m asking for your help, farmers. Do you have any data on how conservation practices affected your operation? Do you have a story to share that is backed up by numbers? Do you have any information sitting on your computer, or know where we can get more data? I’d love to hear from you. Together, we can determine what conservation practices will mean for farmers’ economic well-being next year, in ten years, and in 20 years. 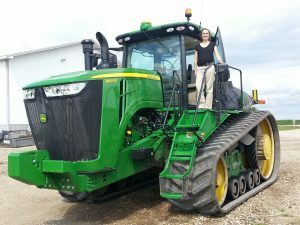 This entry was posted in fertilizer, Partnerships, Supply Chain, Sustainable Agriculture and tagged cover crops, data collection, economics, Illinois, Illinois Corn Growers Association, iowa, National Corn Growers Association, nutrient efficiency, On-Farm Network, precision agriculture, Precision Conservation Management, profitability, Soil Health Partnership, water quality. Bookmark the permalink. Both comments and trackbacks are currently closed.